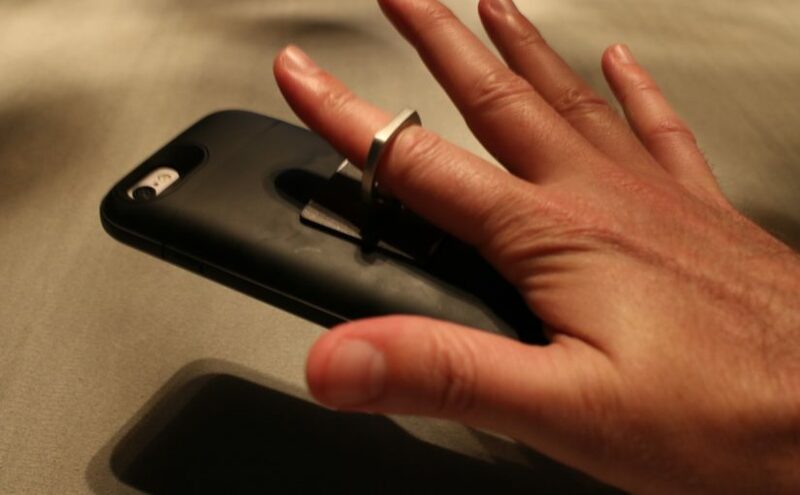 I was recently turned onto the idea of using a ring-stent as a quick solution to the problem of reducing hand-fatigue and making it easier to work while I’m on the road without having a case that has a popup to hold it up. The ring-stent is a 360 degree mobile ring that has enough tension to stay put in whatever position you leave it in. I’ve found it useful when I’m on the road or when I need to do longer projects and holding the phone just isn’t cutting it anymore. The sticker is strong enough to hold up the phone as long as you aren’t pulling on it or adding extra weight. It’s also easy enough to pull off and re-position if need be without leaving any residue of any kind. I’m told that you can re-stick it dozens of times. 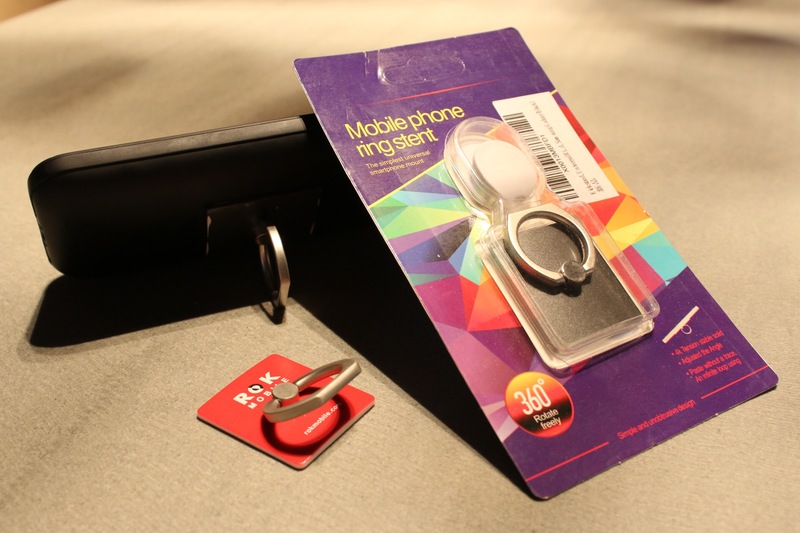 In the picture above you can see there are different versions – like the Rok Mobile branded one on the left or the Amazon off-brand Cell Phone Stent which comes with a holder. It’s also great for flights where you can prop your phone up on a tray and watch a movie without having to jerry-rig something. Very clever design.